...is a concert organist, church musician, chamber musician, (sometimes carillonneur), and currently a fanatical fan of antique Northern German organs. Whether it is information about me and my concerts, or photos and recordings of some of the organs I know and love, I hope you'll enjoy the time you spend here. I'm seen here in front of the beautiful 16th century case of the organ built in 1962 by Ahrend and Brunzema for St. Martini Church in Bremen, Germany. This amazing instrument, where I practiced regularly for many of my years in Germany, has three manuals and 33 stops, mechanical action, and is tuned in Bach Kellner temperament. Hello readers - It's fall in beautiful West Michigan, and sometimes the sun even shines... Just like this font! To make up for the somewhat lacking weather, I have all kinds of exciting projects and ideas I've been working on this fall. For starters, I'm playing a program around Veteran's Day on the theme War and Peace, with some really cool repertoire, including Holst's The Planets movements War and Peace. I'll be playing that in Holland on Nov 6 (a Veteran's Day/ Election Day Concert), and again Nov. 11 at the Chapel at West Point - "World's largest pipe organ in a house of worship"! I've been putting together a concert of Music Of Japan for Organ and Percussion, applying for some grants to hopefully make it happen around Michigan in 2019-2020 (which sounds like a Looong time from now), and also working on bringing the amazing Dr. Mary Cohen to Holland in March 2019 to speak about her work with Inside-Outside Prison Choirs. 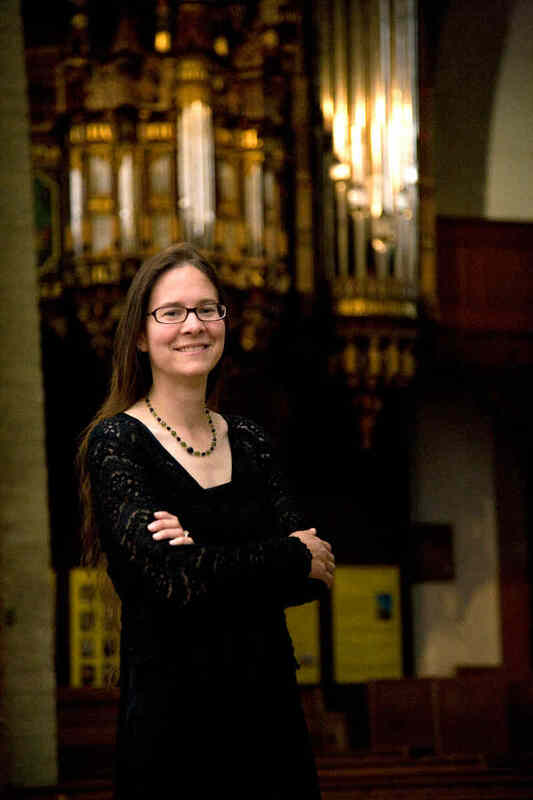 I have concerts in Chicago and Arizona in January, and my now annual Tulip Time concert in Holland, Michigan in May - this year it's called Playing it Cool under the Linden Tree: Music from Sweelinck to the 21st Century. I'm in two book groups these days, and both are reading very thick books in November - Hamilton by Chernow (if you can't see the show, you can at least read the book) and Pachinko (490 pages). So once my grant application is all done, it's time to get reading! And practicing, of course.